That quandary is behind a ferocious battle quietly playing out in the Capitol in the final days of the legislative session, which ends Aug. 31. 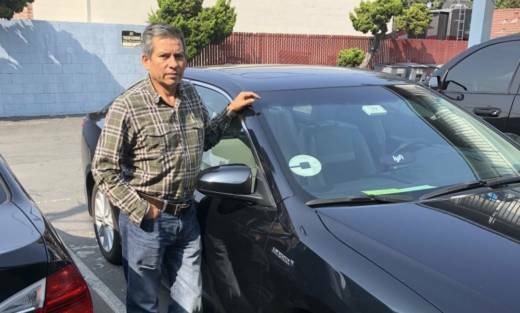 Lobbyists for ride-hailing companies and the California Chamber of Commerce are scrambling to delay until next year (and the next governor’s administration) a far-reaching California Supreme Court decision that could grant Arellano’s wish — and, businesses fear, undermine the entire gig economy. Some 2 million people, from Lyft drivers to construction workers, consider themselves independent contractors in California. In 2017, according to the Bureau of Labor Statistics, about one-in-14 workers was an independent contractor nationally. Dr. Aimee Mullen, president of the California chapter of American College of Emergency Physicians, confirms that ER doctors are among those uncertain about their contractor status. Assembly Speaker Anthony Rendon (D-Paramount) said earlier this month that while the Legislature is eager to delve into workforce issues, leaders do not have adequate time to act on it before the session ends next week.